Write a C program to compute the sum of values in a given array of integers except the number 17. Return 0 if the given array has no integer. Previous: Write a C program to count even number of elements in a given array of integers. Next: Write a C program to compute the sum of the numbers in a given array except those numbers starting with 5 followed by atleast one 6. 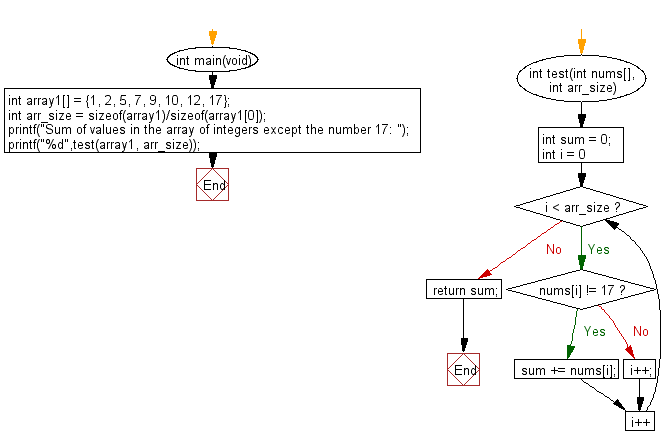 Return 0 if the given array has no integer.